Ideate, Inc., the most recognized authorized Developer of Autodesk as well as Autodesk Gold Value Added Reseller, just launched Ideate Explorer for Revit 2015.1. This Ideate Software solution comes with some advanced features & superior functionalities. The users can now enjoy a modeless interface. The users can now perform simultaneously in the Autodesk Revit and the Ideate Explorer for Revit surroundings. This latest Ideate Explorer for Revit will provide a wide array of benefits to the BIM and virtual design and construction (VDC) managers, project leaders, facility managers, architects, engineers, and other users in support of model auditing, power selection and model maintenance. This newest 3d modeling application will facilitate the users to obtain the global view of model contents and trace, segregate, revise and/or efficiently delete unnecessary components from the Revit model. The ideate customers can explore their Revit files effortlessly by performing through Revit and Ideate Explorer concurrently. 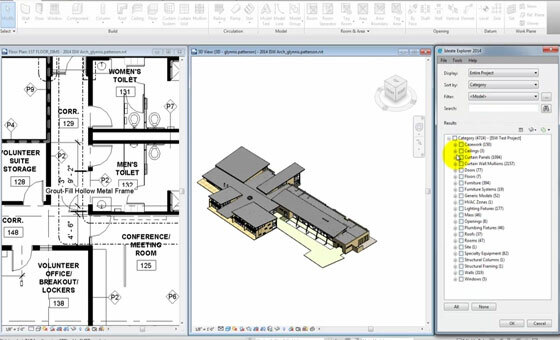 With the new Ideate Explorer, AEC customers can get superior speed and fluidity in their revit solutions. Ability to view elements instantly in the model and recognize mistakes. Explore, filter, compute and opt for more than 10,000,00 elements in a Revit Model. Ability to locate which workset elements are active and it is useful for the QA process. Discover lost and incorrect objects. The users can access Ideate Explorer for Revit with a non-commercial free trial version from Autodesk Exchange Apps Store.